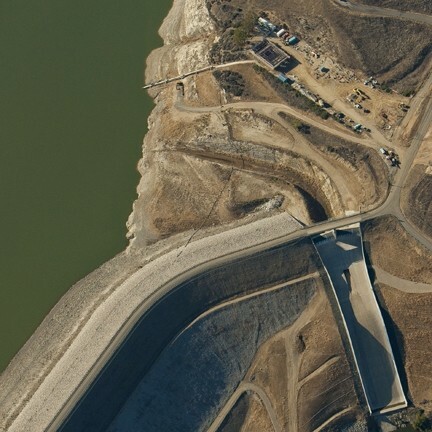 BUCKLED : Dive crews were recently inspecting malfunctioning valves on the Nacimiento Water Project intake line when they discovered sections of the pipe had buckled under the water pressure. Members of the Nacimiento Water Project team still don’t know what caused a pipe made of 3/8-inch thick stainless steel to crumple under 60 feet of water. “I just presumed it would hold that pressure,” Project Manager John Hollenbeck told members of the Nacimiento Project Commission on Aug. 26. On Aug. 18, dive crews discovered that two sections of intake pipe feeding into Lake Nacimiento had “buckled.” The intake system feeds the Nacimiento Water Project, a 45-mile, $176-million project that will provide water from Lake Nacimiento to as far south as San Luis Obispo. Crews were inspecting a malfunctioning valve they discovered after the pipe was “dewatered,” meaning it was drained so they could enter the system and correct a minor unforeseen design problem. the surface and said, ‘You’ve got other problems,’” Hollenbeck told New Times. The intake pipe runs about 180 feet along the lake bed. It houses seven intake valves that allow water operators to draw from the best quality water as lake levels fluctuate. Water pressure after the pipe was dewatered caused the buckling in two of the deepest sections of the intake system. The $20.8 million system contract was awarded to JW Fowler Company out of Dallas, Ore. A company representative didn’t respond to a request for comment. An investigation into what caused the damage won’t begin until Jan. 1, 2011, at the earliest, Hollenbeck said. Regardless, the system can still draw water from its deepest intake valve. Officials will continue to perform tests on the system before taking the project online in November of this year. SLO is the only city that might be affected by the collapse, Hollenbeck said. The city is slated to receive Nacimiento water during the coming winter months, but it has other water sources available besides Nacimiento, he added. one knows how much it will cost to repair the intake system, or if other sections are also vulnerable to failure. “Why do I get a feeling here of BP?” an elderly woman joked at the commission meeting.